A new Depeche Mode album is always a big deal to fans of the iconic electro-pop band, but one version of the April 21 release couldn't get much bigger. 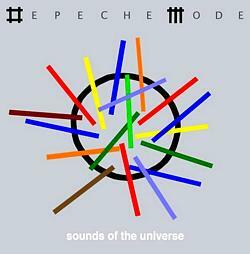 In addition to being released as a standard 13-track CD, a special-edition CD/DVD, a double vinyl set and a download, Sounds of the Universe will be available as a deluxe box set with three CDs, a DVD and extras including enamel badges, a poster, art cards and two 84-page books of lyrics and photos. Among the box set's bonus tracks are original tunes, Universe remixes and demos, and alternate tracks from Violator, Songs of Faith and Devotion, Music for the Masses and Playing the Angel, as well as 1998 single Only When I Lose Myself. The DVD holds the full album plus four songs captured live in the studio, the new Wrong video and three films. A North American tour starts July 24 in Toronto, with some markets going on sale March 13. Details at depechemode.com.